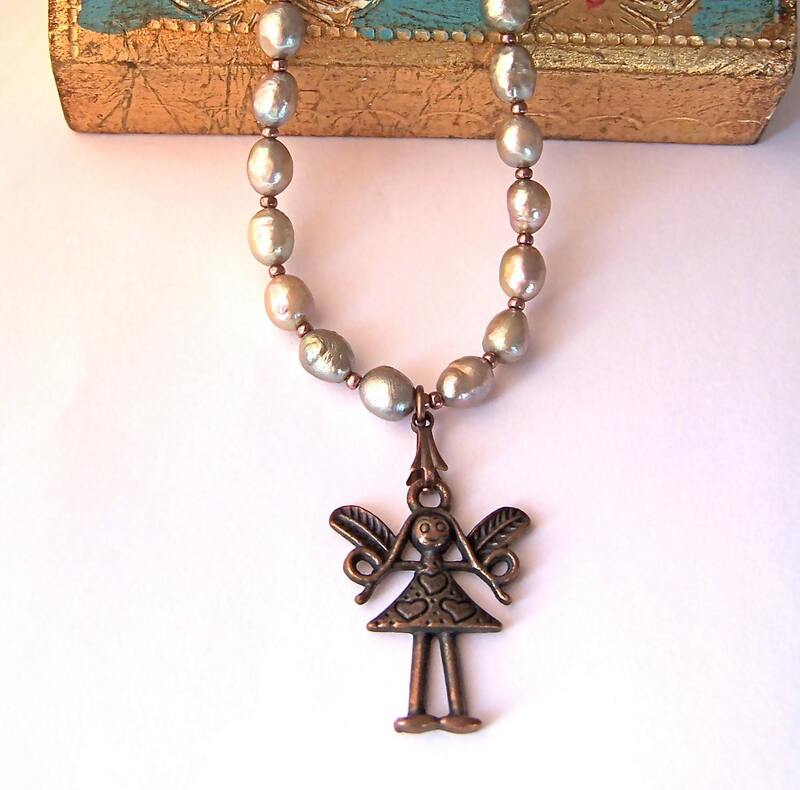 Beautiful freshwater pearls in a lovely muted colour are combined with a cute fairy charm in antique copper to make this pretty pendant necklace, suitable for a bridesmaid gift or just for everyday wear. The pearls are have a delicate sheen and texture, and are a soft coffee brown/iris/green shade with coppery and amethyst tones. They measure approximately 7mm x 6mm (roughly 1/4 inch). The fairy or angel charm is finely detailed and measures about 3cm (just over an inch). In between the pearls and at each end of the necklace i have used coordination seed beads in a metallic copper finish. The necklace measures approximately 51cm (20.5 inches) with a further 4cm (1.5 inch) drop for the pendant. Your purchase will be sent by UK Royal Mail post and will arrive wrapped in a pretty box and carefully packaged. A one of a kind little necklace!